Links to Events and Places open in a new window. Events in Hampshire in August conjure up summer fun and holidays. Whatever part of Hampshire one visits, there is sure to be somewhere of interest. It might be the Petersfield area - a lovely town in an area of Outstanding Natural Beauty. It might be the New Forest, Winchester, Southampton or Portsmouth. It might be the valleys of the River Test or Itchen perhaps. Or the many small towns and villages that are a delight to discover. Wickham Festival will be held on 1st to 4th August 2019. Family friendly in the attractive village of Wickham a couple of miles north of Fareham. Lots and lots of artists. Many modern acts. Camping available. Kite Festival will be held on 10th to 11th August 2019. The venue is the wide open spaces of Southsea Common. Entry is free. Hermitage, Thatcham on Sunday 17th August 2019.Traverses rolling countryside and the South Downs of Hampshire. Cheese & Chilli Festival with a beer festival included. 17th and 18th August 2019. North Walls Recreation Ground, Winchester. Waterside Summer Arts Festival will be held in Hythe in the New Forest 19th to 24th August 2019. Car Fest South on 23rd to 25th August 2019. Cars and music at night. Plenty of children's entertainment. Laverstoke Park Farm. Victorious Festival 23rd, 24th and 25th August 2018. The Common and Castle Field Southsea. Petersfield Summer Festival will be held on 24th, 25th and 26th August 2019. Entry is free. The New Forest Rattler 2019 TBC. A cyclosportive set in the scenic New Forest. There is a shorter route of 47 miles, or you are feeling really fit there is the more demanding 82 mile course. Epic 102 mile course! What a feast Hampshire is!!! Portsmouth is the ancient Royal Naval port home of HMS Victory and the Mary Rose. Gun Wharf is an interesting shopping area built on the old Royal Naval dockyard. Southsea is nearby. 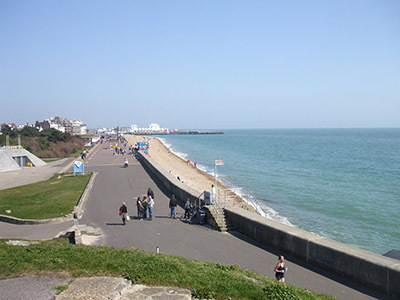 The Common is a large open grassy area on the seafront. Wickham in the Meon Valley and a conservation area. Chesapeake Mill, an no longer used water mill that was made from the timbers of a ship of the same name. Listed as a Grade II building. Wickham was the birthplace of William Long in 1324. He was always known as William of Wykeham and as Bishop of Winchester was the founder of Winchester College and New College, Oxford. William was also partly responsible for Winchester Cathedral as it now looks. Ringwood probably named as a town ringed with the trees of the New Forest! Most of the Hampshire Treasures list is of special trees! This attractive market town is on the River Avon and so of course part of this ornothigcal interesting area. Romsey Home of Hillier Gardens which is an attractive garden on the fringes of the town. Romsey is in the most attractive Test Valley, all water meadows and wildlife. The town centre has been renovated. 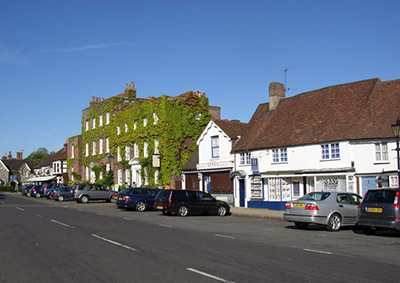 Petersfield is in the South Downs National Park. If you want to explore the National Park, Petersfield is a great centre. A pleasant market town amidst an area of Outstanding Natural Beauty. It is on both the A3 and the London to Portsmouth railway line, so great access. Emsworth is on the shore of Chichester Harbour and very scenic. Mecca for bird watchers, fisherman, artists and sailors. Although a village it is a busy one, particularly in the summer. 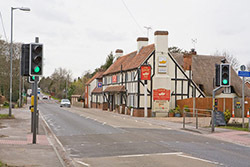 Plaitford is about five miles from Romsey on the A36. Its river is a tributary of the River Test. Plaitford Common is an area of Special Scientfic Interest. Anyone with events in Hampshire who would like to list their event here please contact us via the Feedback form, we would love to hear from you. The event should have its own website so that our visitors can find you and obtain more information. The events in Hampshire should be capable of attracting crowds, large village fete size and above, similar to those listed here. Our observations show that www.travelwessex.com's main visitors are those that love walking, cycling, horse riding and other like minded pursuits, but we welcome all attractions as we have many other visitors as well that we love to cater for. Posting events on this page is free. We reserve the right not to include events in Hampshire that are not suitable for legal or other reasons. Or if you would like to browse some more please try the navigation buttons on the left. There are some delightful cottages around the county. Probably one near where you would love to stay. Want a cute car? Large car? Small car? Whatever you need you will find it here. You will probably find your favourite car hire firm here and Car Rentals do not add a penny to their price for looking all over for you! If you do decide the leave the car at home and help the environment too, why not go National Express. They run coaches all over the country. Some pretty good fares too. Just imagine - sit back and relax, no hassling with the traffic!!! Do you know that you can book on your mobile phone and they will send the ticket as a text!!!! Virgin Trains is an excellent main line railway. Traveline is a very useful resource for public transport throughout Wessex, even local buses. There are other pages on Traveline for other parts of the country.